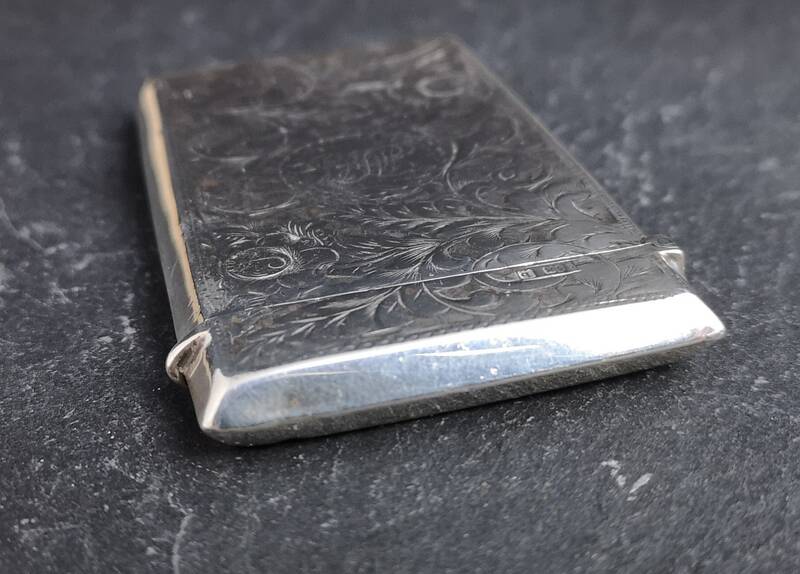 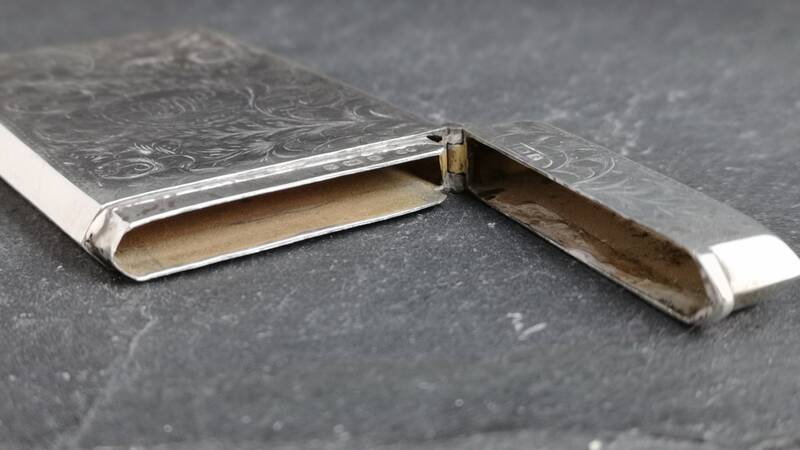 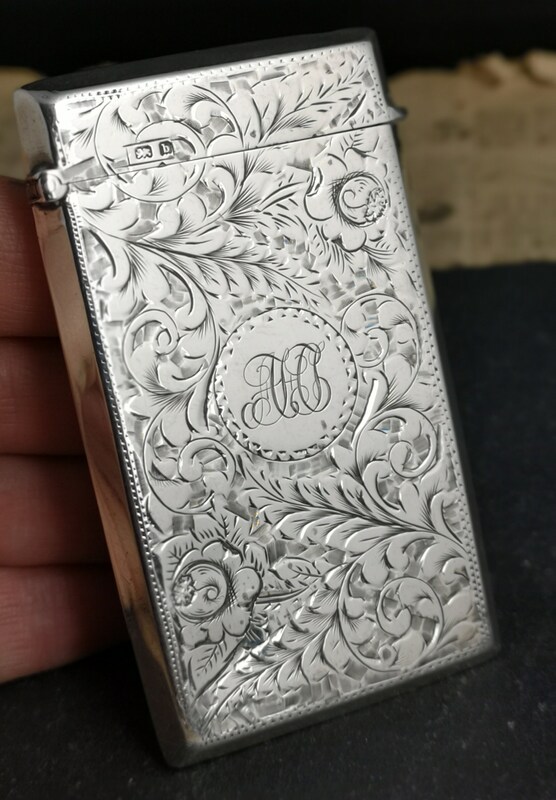 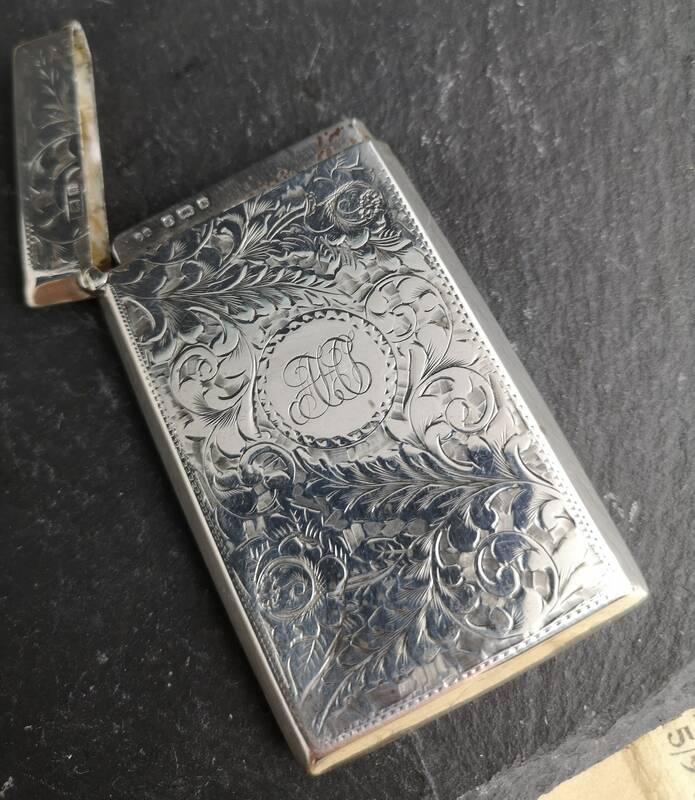 A beautiful antique sterling silver card case / calling card case. 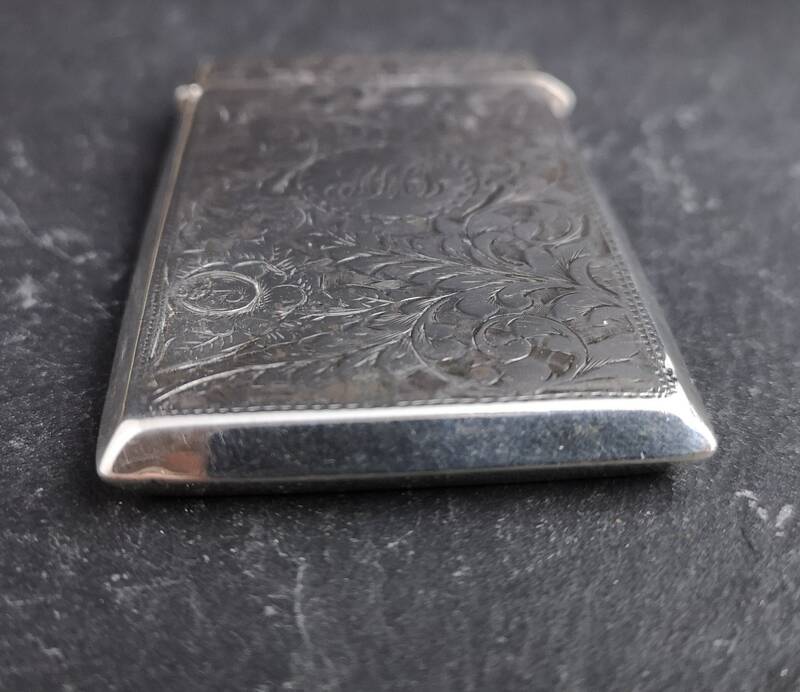 Elaborately chased and engraved front and back with an attractive and detailed flora design. 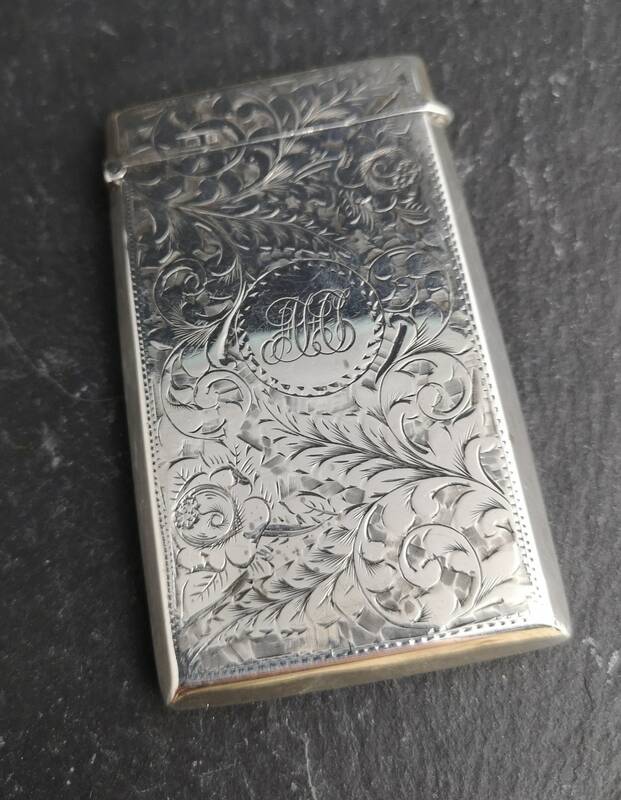 It is monogrammed in the central cartouche in fancy script, it appears to be AHC or possibly JHC, gilt lined. 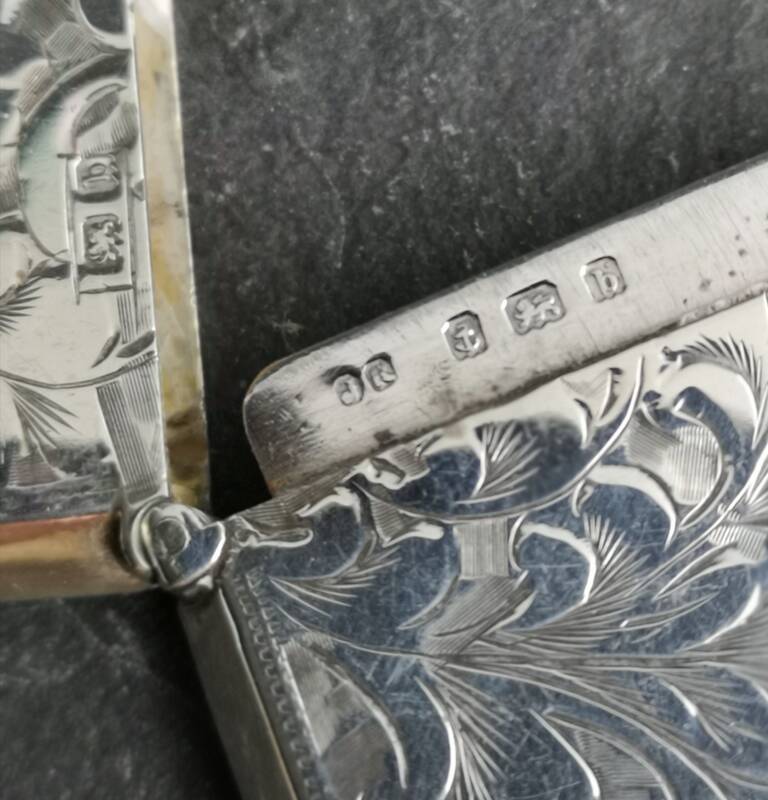 Bears short hallmarks to the outer of the lid and a full set just inside the lid, hallmarked for Birmingham 1901,maker John Rose. 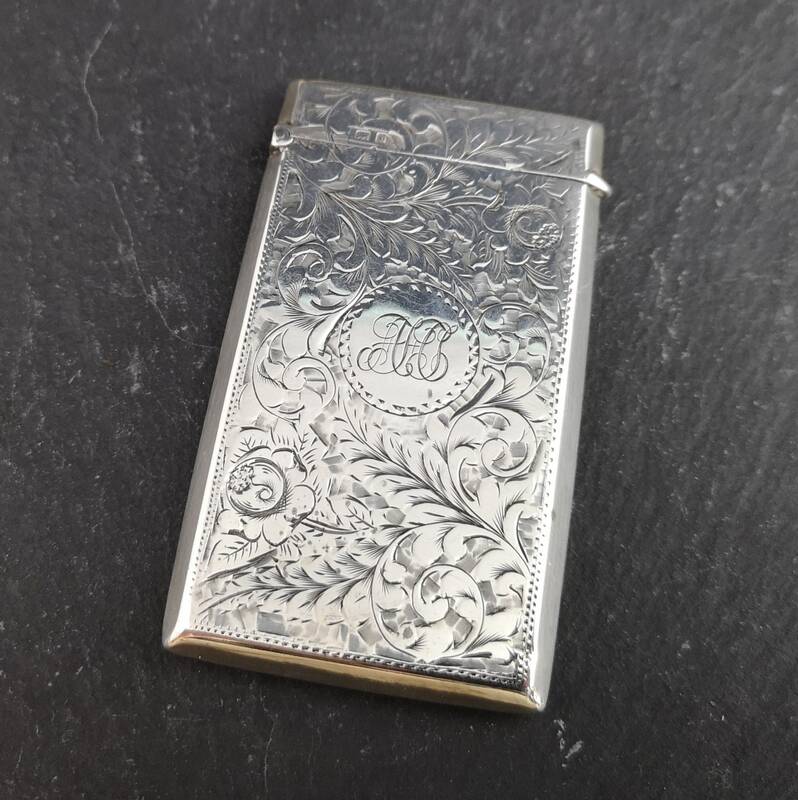 The end of the Victorian era and the beginning of the Edwardian era. 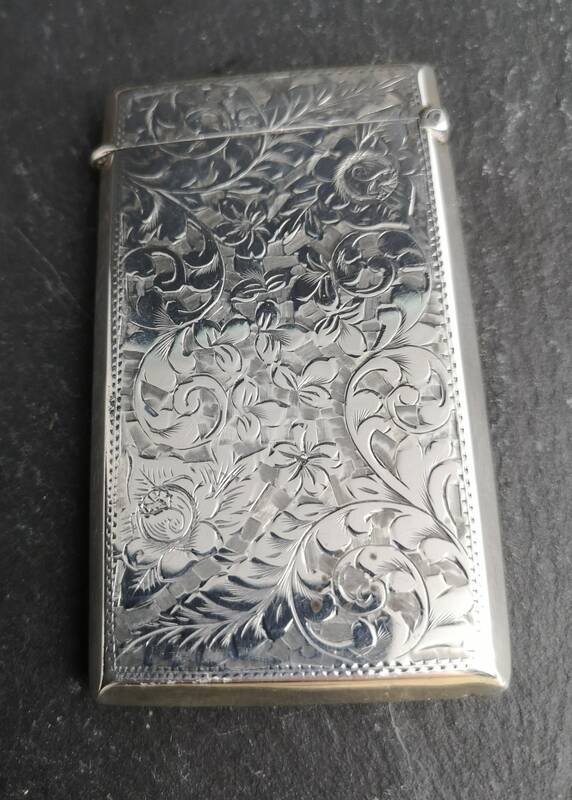 Condition is very good, small loss if gilding inside but this is hardly noticeable. 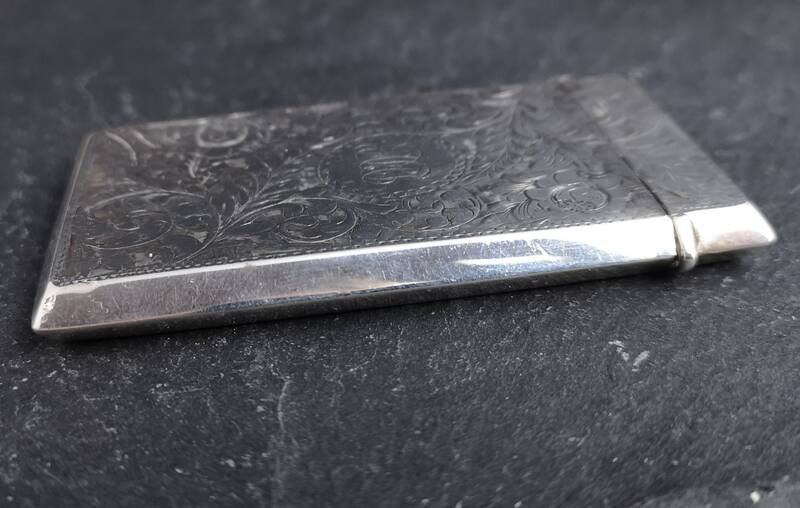 Approx 3.5" height and 2" width, weighs 51.78 grams.